Back out onto Stroll we go for what feels like the first official one for the fall. By far the East end of downtown was the most active, seeing late openings and sales for Green Ant, Misc. and Q Clothing. Not to mention a big showcase from Copper Palate Press that included works from Claire Taylor as well as performances from Pretty Worms and The Plastic Furs. A wide variety of work to be seen down Broadway as well as Kayo, Stolen & Escaped and Nobrow Coffee had some pretty in-depth displays. From my understanding it was a nice turnout all around the city, especially good news with the cold on the way soon. --- For this month we made our way back up to South Temple to check out the works on display at Alpine Art. A six artist showcase spread throughout the gallery along with Jesse Walker of New City Movement spinning the beats all night long. For these interviews we chat with four of the artists on display right now. Still-life paintings by Lane Bennion, woodwork sculptures from Rustin Ostler, Bas Relief Sculptures by Benjamin Higbee and glassworks from Sarinda Jones. Chatting about their work and being a part of this display, plus their thoughts on local art. Along with a number of pictures for you to check out from Alpine over here, and random shots from Friday night at the rest of Gallery Stroll on the East end here. Gavin: Hey Rustin! First off, tell us a bit about yourself. Rustin: I was born in 1973, at an early age I knew he wanted to be an artist. With degrees in art and architecture, I consider myself “part architect - part artist". As a sculptor and designer I have learned to use many methods of wood and metal working along with many two dimensional mediums. I have a great respect for the beauty and properties of wood and its inherent nature. Most of my work is created with wood often including the juxtaposition of metal. Often one or both of these materials affected over time are found and integrated into my work. I have been very impacted by the landarts and drawing on the land programs. The outdoors are often a place of inspiration for me and often a refuge. Gavin: What first got you interested in sculpture works, and what were some of your early inspirations? Rustin: After many years of graphic and 2D art in grade school and high school I started to be more and more interested in the construction side of sculpture. Land and earth arts started to impact the way I wanted to do my own art. I was very intrigued by the way that Robert Smithson and Nancy Holt used space, earth and the surroundings to create such powerful work. Precision and simplicity in Andy Goldsworthy’s and Donald Judd’s work were a huge inspirations to me. Looking back I find it interesting that these four artists are now house hold names. Gavin: Did you seek out any college in the arts prior to going into design? And if so, what made you choose your school and what was that program like for you? Rustin: I started the Fine Arts program at Weber State University in Ogden, Utah because it was close and I heard it was a great program. While I was there a sculpture professor named James McBeth made a big impact on me and my work as an artist. His encouragement and others made my Bachelor of Fine Arts Degree a wonderful part of my education. Gavin: Most artists who take up this type of sculpture usually pick a medium and stick with it. Why did you choose to work with so many different forms? Rustin: I feel like the construction side of sculpture has drawn me more to the process of making the sculpture then expressing it through a type of medium. Gavin: How did the idea come about for you to start up KilterDesign, and what was it like for you first starting up? Rustin: I’m still starting it up! I like to keep things fresh and new and always be experimenting new ideas. One of the reasons for starting KilterDesign is a desire to keep art and architecture as one, not two separate things. To me a building or space should strive to be as powerful as Nancy Holts concrete tubes are in an open desert. Likewise a piece of art is a work of architecture in the way materials come together to make something beautiful. Gavin: You also work for Method Studio as a designer. How did the opportunity to work with them come up and how has it been for you working with them? Rustin: I applied there not long after the firm was formed and was hired on. They are young as a group with a great deal of experience as professionals. It’s a small group with many talented individuals. It’s a group of architects, designers, photographers, craftsman, artists and furniture makers. I feel fortunate to be united with them. Gavin: What’s the process like for you when creating a new work, from design to final product? Rustin: Most of it starts with the time tested method, in a sketch book. I will often find materials that also direct the outcome of the piece. As I work on the piece things will change and morph, but often are very similar to the original sketch. Gavin: Do you usually know what they’ll turn out to be or do you improvise on things as you go? Rustin: I allow each piece to express itself and the feeling that is contained within. This often makes the end result of my work become a variance. Gavin: How has it been for you showing off your designs both as an artists and a designer, and hearing public reactions to them? Rustin: I have often found the responses very intriguing. A single piece can have such a differing response from the art community than from the design community. Overall it’s often positive and I feel fortunate to get feedback from a larger demography of amazing people. Gavin: Tell us about the works you have on display for this Stroll. Rustin: I have four pieces in the stroll - Pixelization: A three dimensional study on density, demographics, and perception. Duplicate: A piece about Code and the use of it for tracking, duplicating and labeling. Slice: Designed to represent a diverse slice of land in Albuquerque, New Mexico where a fragile ecosystem and Man come together. Silence: Is a piece about sound and the lack of it and how we perceive both. Gavin: What’s your take on being displayed at Alpine Art, along with the other three artists this month? Rustin: I love the group at Alpine Art. They are exciting, fun and refreshing. To me that is one reason I love the arts. I haven’t worked or shown with the other artist before, but I feel very fortunate to be showing with them at Alpine Art. Rustin: I’m fairly new to the Salt Lake art scene. I’m impressed by the Gallery Stroll and the unity it promotes among the galleries and art community. Rustin: I think it would help to get more restaurants, bike shops, cafe’s, and other local businesses to help advertise and get more people out on the streets and into the galleries during Stroll. Gavin: What’s your take on Gallery Stroll as a whole and how its doing today? Rustin: I think it’s great getting people out into the community and learning more about art and artists in there city. Gavin: What can we expect from you the rest of this year and going into next? Rustin: I hope to continue to show at Alpine Art. I also have three new furniture pieces that I hope to launch before the end of this year. Next year will be even more productive for me than this year and I hope to have many new pieces to show in upcoming Gallery Strolls. Gavin: Is there anything you’d like to plug or promote? Rustin: The “Salt Lake City Foster Art Program” I think it’s a great way to get art out in the community and it builds relations with the artists. I would also like to remind artist to volunteer a local schools and help promote art in our schools and help young artist learn from more experienced artists. Gavin: Hey Benjamin! First off, tell us a bit about yourself. Benjamin: Well, I was raised here in Salt Lake City, growing up I spent summers in Nevada and Southern Utah, cherish the landscape of the West, travel as much as I can to wherever and whenever I get the chance to go, I have a deep adventure bug in me. I'm the oldest of eight, make noise on the guitar, love to cook, love Epic Brewery, Squatters IPA, and have an insatiable appetite for conspiracy theories. I'm a fan of Graham Hancock, Joseph Campbell, Herman Hesse, Knut Hamson, David Bohm, William Mcdonough, SpaceWeather.com, Algal Biodiesel, Sustainability and Permaculture. Gavin: What first got you interested in painting, and what were some of your early inspirations? Benjamin: Curiously. It was a class I had in 4th grade that got me jazzed about making art, generally speaking. The project that year was to create a fictitious country and make a topo map of it, design a flag, etc. I got so into it that I was designing cars and vehicles and spacecraft and buildings...I was obsessed with design ideas and found that the only way to express the imagined was to draw it. I wanted to share the vision so bad that I filled notebooks with detailed information, drawings, on and on...It wasn't painting that immediately resonated with me, it was more the design of things, the visual communication of an aesthetic - as a way to convey ideas or concepts. There was this magazine when I was kid in the seventies: OMNI Magazine, and they always had a sci-fi pictorial spread in it that blew my mind. I first saw H.R. Giger's artwork in that 'zine. But of course all this was turned up to eleven when "Star Wars" hit theatres. I always wanted buildings to be designed after the natural world. I imagined myself small enough to crawl inside flowers and seedpods and whatnot, imagining what it would look like from inside, light diffused through the organic translucent planes, graceful curves, organic shapes, what-have-you. And then I discovered girls. The drawing adventures really began there. I would draw the female figure and imagine, well, that she was mine... I loved to draw the human figure, I don't do it so much any more, it has become a conceptual thing, diffused into the mythological and abstracted by microscopic and macroscopic scale. It wasn't until college that I really got serious about drawing and painting as a mode of expression. 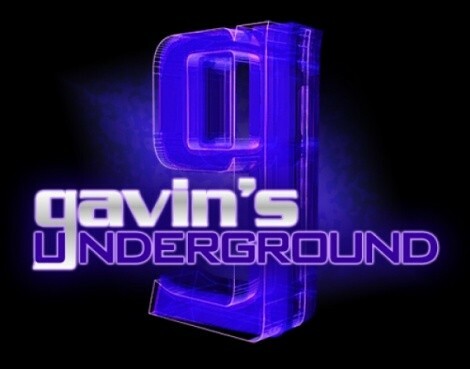 Gavin: Did you seek out any college or formal training, or were you more self-taught? Benjamin: I went to Dixie College after high school and focused on Art as my major there. It was pretty provincial then, don't know what it's like now but I had my first serious drawing classes there and ventured into painting. I took three years off after graduating and then started up at the University of Utah in 1992. The academic art curriculum then was really skills-based and I got a lot out of it. Realism and accuracy in drawing was emphasized. I've veered a long way from that since, but I am really glad to have had the experience being taught by Dave Dornan, Paul Davis, John Erickson, Sam Wilson, Maureen Ohara-Ure and Susan Cheal. Ami McNeel was an inspiration in the sculpture department. So yeah, I had formal training that got me up to speed, otherwise I would still be copying Boris Vallejo paintings in my basement. Gavin: I understand you recently started up your own studio. What made you finally decide to take that step and how was it for you getting it set up? Benjamin: Well I was pretty depressed after 9/11, really disappointed with the direction this country was headed. I decided to take a break from making artwork. I mean the economy was crap and everyone was stunned and it looked like to me the end of the world was nigh. So what did I do? I decided to get entrepreneurial and started a business. It was a huge distraction. I should have never ventured into retail. I'm horrible at it. I learned a lot about business though, much of it applicable to being a fine artist in a capitalist economy. Anyway, things went great for four years and then the economy crashed again and we rode it out for a while and finally I realized the inevitable. It was time to move on. So the decision to regroup and reassess led to my ultimate dream scenario, a place to work and some time to devote to making these Sculptural Bas Relief panels. It's been a long, winding road through the rat maze to get to this place. I'm really grateful. Gavin: What inspired you to create Bas Relief Sculptures as your main form of artwork? Benjamin: It evolved from some of my work in the Sculpture department at the University of Utah where I slathered acrylic tile adhesive on a panel to create the bed for a little armature i built to resemble a central pivot crop irrigation unit. I set up a motor to turn the armature and it rolled around this panel making concentric circle ruts in the adhesive, I had glued to the wheels little pieces of lead type from a printshop with words like “greed”, “ambition”, etc. It got me thinking about using more material on a surface laying horizontally and using a pendulum to scrawl into the surface. That was where it really began. I think the reason I desire a tactile surface on a panel so much is that I like the idea of the artwork extending itself into the space between the viewer and the picture plane. It functions differently as an object, rather than as a window into illusionary pictorial space. In the first case the world is “in here”, projecting itself outward toward you. In the other case, the illusionary world is “out there, outside the window, if you will. In Bas Relief, the surface excites the eye and there is a desire to touch, to run your hands over it, to know more about the material, the weight of it, it's hardness or softness. I am not interested in illusion so much as I am in the concrete, physical nature of the world around me, it's systems, the phenomena, that make up this experience of being alive. It's alchemical in some ways, but my interest in Bas Relief expresses the way I grapple with my own questions about what it is to be alive. Lately I've been focusing on patterns derived from a collective of organisms that self-organize, like Coral and yeast colonies. I am completely in awe of these hive-mind phenomena and how similar they are to the visual effects of sound-waves on viscous liquids, which translate the signal into form ( patterns ). There are some great YouTube videos of these phenomena. Gavin: Considering the work behind it, is it a difficult medium to grasp or did it come naturally for you? Benjamin: It has been a long process of discovery for sure. I think the medium can be tedious, you have to know your materials and how to get them onto a panel in sequence and before things set up or harden. It's the result of a lot of experimentation to find the right recipes. The materials and their combination is a bit of chemistry, I've needed to find lightweight variations of recipes to keep these pieces from dragging themselves out of the wall. Some of my earlier work was really heavy. I just couldn't lug it around any more. So the solutions to these problems have led to the materials I now use. I spent eight years on and off working with decorative painters like Tessa Lindsey and historical restoration crews and learned a lot from that as well. Gavin: What's the process like for you when creating a painting, from concept to finish? Benjamin: Often if I can't sleep I'll navigate my headspace in a kind of pre-sleep trance that is a bit like a mushroom trip in which images morph from one thing to another, changing color and dimension and function. It's a bit like meditation, I do it when I can't sleep and it usually doesn't help. I go through all these forms and then if one appeals, I'll imagine how I'd make it. Usually from these exercises I'll resolve exactly how to execute a piece from start to finish and then go about it. The reality is however, that no matter how conceptually prepared I am to make something fully envisioned, there are always those unknowns that rise up and challenge me for another solution. Art making for me begins with the vision, then the execution, the mishap, the work-around solution, the home stretch, the experiment that f-s everything, the scrub-off, the retreat to the original vision, the re-application of the first notion, then zen execution to finished state and then someone comes in and says: You're not going to do anything more to that are you? To which I say no and then sometimes realize exactly what I need to do to really finish it properly and then either I nail it or I go back five steps. That's how it usually goes. Gavin: Do you usually have an idea of what you'd like a piece to appear like, or does it all hinge on the initial pattern you decide on? Benjamin: It goes both ways for me. Sometimes it's clear vision and zen execution, sometimes it's zen execution toward a resulting vision. For example, I chose the cellular pattern of a hard coral from a photograph for a particular piece. I knew what I wanted it to look like generally, but the task of building layer after layer became a zen process. On another piece, I just started making small blobs and applying an order or logic to the distribution of the blobs, their size and proximity to one another. I started on one side and ended up with a distribution map of blobs that look like it was created by hive-minded organisms again. In a way you could say I set up a kind of math problem for myself. Or maybe it's an if/then/what if/ahaa that I am up to. Gavin: Does it feel at times more like its you're experimenting with your skills as opposed to just creating a piece? Benjamin: It does, I am definitely an experimenter, but with a tactical pragmatism that says okay, if I lay out this topography or pattern, then apply this material or that, well, wait, hold on, let's get to that point and then decide what to do next. Benjamin: All of the art I'm showing this stroll are Bas Relief Mixed Media Sculpture on Panel wall pieces. The work is focused on patterns derived from organisms or from phenomena in the natural world i.e. Diffusion, Dispersion, Evaporation, Deposition. A few pieces that are based on Coral and Sea Urchins and are my homage to the reefs. Gavin: What's your take on being displayed at Alpine Art, along with the other three artists this month? Benjamin: I'm ecstatic to be showing at Alpine Art, with the work I've got. I'm excited to see whether SLC is a market for my work, and really, this is my home so I am really grateful to have the opportunity to do my little bit of culture creation for my homies. Benjamin: It would be great if more art buyers/benefactors/patrons of the arts would buy more and buy local. It'd be great if the unique art object was regarded as a sacred commodity and that all poster prints and knock offs, no matter how affordable, were totally ignored by the consumer due to a cosmic shame demon that would possess the possessor of disposable art... but that's just wishful thinking... and I have a Mark Rothko and Franz Klein poster so... see, even I can't live up to my own standards. Gavin: What's your take on Gallery Stroll as a whole and how its doing today? Benjamin: Gallery Stroll is a great thing. Especially in the summer. I think it's great for the city, more folks need to feel free to come and check it out, maybe. Let's see, we could unravel the conservative puritan paradigm and have a naked Gallery Roll on bikes or something. Pass out rose-colored glasses that magically blur the (whistle) for those folks that need em. More hilarity happening. This town can be so uptight. Gavin: What can we expect from you throughout the rest of year? Benjamin: I'll be working on two parallel series of pieces in Bas Relief. One will be based on cross contour drawings and the other will be a modern take on Japanese floral prints. Fishing for arts fest's to attend, I expect. Benjamin: I would like to publicly proclaim my virulent loathing of Fascism and Corporatism.Corporations are NOT The People. Also, I am launching a non-profit organization to be called “CollectiveWORKS” with 30% of the proceeds of all sales of my art work. The non-profit will be dedicated to building site-appropriate local-materials-only, alternative low-cost eco-housing and permaculture development in developing countries worldwide (including ours). Power to the People. Gavin: Hey Lane. What first got you interested in painting, and what were some of your early inspirations? Lane: The family I was raised in was in to sports and not art, so I didn't have much exposure to great art as a child. I remember being moved by a reproduction of Edward Hopper's "Night Hawks" that I saw in a high school history book. I cut it out and kept it. Gavin: Something odd to note, you went to the Medical College of Georgia to study Medical Illustration. Where did the idea come from to do that, and what was that experience like? Lane: I was interested in both art and science as a child, but I never had much exposure to great fine art, so I the thought of pursuing fine art never occurred to me. I began to search for a "practical" application for art and my uncle, who was in medical school at the time, told me about these people that draw anatomical pictures for doctors called Medical Illustrators. Later, I went to Salt Lake Community College and took some great drawing classes from Rick Graham. I asked him if he knew anything about medical illustration and he hooked me up with Marilou Kundmuller, a local practicing medical illustrator. Marilou recommended that I go to the University of Utah and take life drawing courses from Paul Davis. There are only five or six Medical Illustration masters degree programs in North America and they all require that you are able to draw the figure from life. Later, I was accepted to the medical illustration graduate program at the Medical College of Georgia. The coursework there consisted of the first two years of medical school as well as illustration techniques. I now do medical illustrations for a Salt Lake company called Amirsys. Gavin: What inspired you to start doing still life paintings? Lane: While studying figure drawing at the U, I also took drawing and painting classes from David Dornan. They way he talked about art was very inspiring to me. It really changed the world for me. Where before I saw art as a purely technical pursuit, I began to see it as a means of looking at the world in a different way. Dave is a master of presenting "ordinary" objects in extraordinary ways. His paintings are not only visually stimulating, but he is able to attach a subtle narrative or psychology to a simple grouping of objects. This was new and exciting for me and I wanted to learn more. Going to the Helper Worshops and learning from David Dornan, Paul Davis and Tony Smith really changed things for me. Gavin: What's the process like for you when creating a new piece, from concept to finished work? Lane: Most of the work I do comes from the "ordinary" objects or scenes around me. I find it a challenge to make these things beautiful or interesting to others. When I take on a new subject, I usually start with a few studies. If I like the first study, I will do a few more paintings. As I work on these new studies or paintings, I begin to notice curious things or ironies about the subject that I didn't notice before. I then try to bring these out in my paintings. I have been painting department storefronts for a few years now. I find the way the displays are composed and presented to potential customers interesting... especially the use of mannequins. Gavin: Do you base your work off photographs or images around you, or do you tend to create from scratch? Lane: Most of my work comes from the snapshots I take with my digital camera. The final painting might be composed from a combination of photos. I also add or emit elements to the scene to make it work for me. Gavin: How has it been for you taking your work around for exhibitions and hearing public reactions? Lane: I don't like to talk much about my own work, but I love to hear what others see in it. I want to the work to be open to various interpretation. Lane: A few months ago, my parents took a bunch of us to the dinosaur displays at Thanksgiving Point. I was really in to dinosaurs as a kid, but hadn't seen a display for years. I was blown away by the beauty of the whole thing! As I walked around with my family, I found myself thinking about mortality. Seeing my children and parents looking at exhumed and expired creatures made me think about the passage of time. The three paintings on display at this Stroll came from my experience that day. Lane: The people at Alpine are are great to work with. I know a few of the artists I will be showing with, and I am excited to see every one's work. Lane: I don't travel enough to be able to compare it to other scenes, but I really think Utah is home to a lot of talent. Especially in the area of representational artists. I'll keep the bad stuff to myself . Lane: I will be doing a show at the Terzian Gallery in Park City in March 2011. Lane: You can see more of my work at my website, I would also like to tell people who want to learn to paint to go to the Helper Workshops and learn from David Dornan, Paul Davis and Doug Braithwaite. Gavin: Hey Sarinda! First off, tell us a bit about yourself. Sarinda: Well... I have done art my entire life. I enjoy keeping my hands busy with knitting, crochet, painting, jewelry. I spent some time in Scotland this last June for an Architectural Glass Residency and I am a Mom of a soon to be four year old. Gavin: What first got you interested in glass works and what inspired you early on to work with it? Sarinda: I collected marbles as a kid and then my eye noticed them again in my mid to late twenties. Being more aware of glass I started to research where to take classes and the passion just grew. Gavin: You studied Art History up at the U. What made you choose the U for college, and what was their program like for you? Sarinda: Well actually I studied Fine Art at the U for a while and did most of my college at SLCC. Honestly, I wish I had finished my BA and still intend to and I would not trade the experiences that I have from Pilchuck and many workshops that I have been involved in. There are many ways to get a good art education. Gavin: In 2003 you started up your own studio, Reflective Art. What was it like getting set up and officially opening up? Sarinda: Hmmm. A pain in the you know what… Just kidding. Not too bad really. Just a lot of business stuff. I applied for a small business loan with Utah MicroEnterprise Loan Fund. Like with any small business loan you need to have a business plan, registered company name, etc. UMLF is such a wonderful assist in our community for small businesses. They really helped me though the process. For the most part it was a dream coming true for me. I had wanted the studio so badly and at the time did not have a space where I could do glass art. I was in an apartment at the time and well it is not looked upon highly having a kiln. Gavin: About the same time you enrolled at Pilchuck Glass School. How was it taking their classes while continuing your own craft? Sarinda: Good question Gavin. I was accepted into Pilchuck the same time I was accepted into ArtSpace. It is funny how it all came together, with a lot of work. To answer your question, at the time I was not a full time artist. I was a nail artist for seventeen years before changing careers. You know acrylic nails and manicures. So that was the tricky part is to arrange my life so that I could be gone for an entire month. So I did it with a huge amount of help from friends and clients. Gavin: You also studied at North Land Creative Glass. What was their program like, and how did it compare to Pilchuck? Sarinda: Pilchuck was an intense coarse from Kiln Forming glass, Glass Blowing, Neon, Torch-worked glass and cold working. At the time I had only played around a bit and only had a basic understanding of how glass behaves under heat. So I had a real eye opener as to how large and international the glass community is and how much I did not know. North Land Creative is in Scotland and it was an architectural glass residency that I was personally invited to attend. So it was not about techniques but about exploring kiln formed glass in an architectural setting. This was an amazing ten-day residency in the Highlands of Scotland. What a magical place with magical people. There were thirteen artists who took part in this private residency at North Lands to explore the nature of kiln-glass in the built environment. We came from five countries and five states. Including two amazing facilitators in a very well equipped studio. Truly living the dream of an artist in heaven. The first case study was Saint Mary’s Church. It’s hard to turn around in northern Scotland without bumping into a church. This is probably due to the numerous religious schisms that suited in denominations of Catholic, Presbyterian, Free Church, United Free Church, Wee Free and even Wee Wee Free erecting or maintaining an increasing number of places of worship for an ever decreasing population. The second case study; “Harbour House” is of the traditional houses of northeast Scotland are typically stone, intensely practical, and hauntingly lonely. The Harbour House is almost iconic in its reflection of the style, a simple, squat, double-gabled building with chimneys on both ends and symmetrical window/door placement on the front that give the lime washed houses a friendly ghost face. I have found this experience has been esoteric and a profound one and I have not yet put all the pieces or words together at the moment. However, as a visual artist I can assure you will be seeing this vein in my coming works. Gavin: What's the process like for you in creating a glasswork, from initial design to final product? Sarinda: It takes me a good long time to work though and idea or concept. I work in my sketch book, paint, make models, take pictures then I have a worksheet that I do that gets me to the essence of the voice the particular piece has. That is when I will start making samples of glass and experimenting. Glass is so very expensive and it is easier to work through an idea with paper. Then once the glass is fired I cold work it, Meaning polishing and shining the edges. This is generally the most time consuming part. Gavin: Is there usually an idea of how it will look in the end, or do you play around with it a lot while creating it? Sarinda: By the time I get to actually making the piece, I have a pretty good idea of how it will look. That however is not always the case. Even after all the prep work sometimes the vision in my minds eye is not the same in actuality. Gavin: Do you find yourself having to blow fresh glass for your works, or are you more into working with what you've got on hand rather than make something new? Sarinda: I do both… sometimes I come across something in the studio that will spark an idea and use bits and pieces. Then others are created new. Gavin: What was it like for you starting to show off at exhibitions, and what's the general reaction you hear from people who check out your work? Sarinda: It is always hard to put yourself out there in such a space. I get the nervous jitters and then settle into it. This process happens for me every time. On another note, I love being a fly on the wall. Most times people may not understand it a first glance. Once they take some time with the work they begin to appreciate it and start asking real thoughtful questions. That always makes feel warm and fuzzy inside to hear the excitement in their voices and I think I am a natural teacher so it gets me excited to talk about it. Gavin: You also create custom pieces for people. Is it easier or harder working with a specific description for someone? And what are some of the more interesting designs you done for others? Sarinda: I prefer to do one of a kind pieces… to be honest it keeps me alert. If you will. You know I have found that I like to do a piece or a body of work then move onto the next. This is something new that I have learned about myself and once I learned that this is the way I work, it has opened up my creative voice. I was commissioned by Jorge Fierro of Rico Brands new restaurant Frida Bistro. I did a large-scale piece for behind the bar area the is back lighted glass. This was a fun project for me and I was invited to Scotland based on this work. Sarinda: “Aggregate Dream” is based on the fragments or memories that I took from my Scotland experience and the textures of the carved out landscape. "The Definition of Aggregate" is a collection of items that are gathered together to form a total quantity. “The fleeting moments of knowledge in which we discover our existence are facts that can be committed to memory. We can enlarge this aggregate memory and refashion it as we go through a lifetime. By saving these memories on paper and reconstructing the images of our lives. We see the art of our lives unfolding before us." Sarinda: I am honored to be apart of this show with such wonderful artists. Sarinda: I think that our local viewers are pretty savvy, educated individuals. You can see it with the types of show you see popping up around town. Sarinda: Getting young people more involved in art and exploration of different mediums in art and more of it. Sarinda: I think it is great. Most metropolitan cities have a gallery walk. Salt Lake City was voted by American Style Magazine Summer 2010 issue as 13 out of 25 mid-size cities to be Arts Destinations in America. Not bad! Sarinda: I will be teaching for the U of U Continuing Education and I was awarded a grant to teach the sixth graders glass at Salt lake Center of Science Education. In February 2011 I have a show at Art Access regarding my travels to my Scotland. Also, I have been appointed to sit on the Salt Lake Arts Council Public Art Board. And the North Land Creative Residency is to continue on every year until the case studies have architectural glass in the buildings. Sarinda: I think I just did. But other than that, custom work. Thanks Gavin.